Rights activists on Wednesday called upon journalists to raise awareness through their writings for helping establish the rights of the country’s 37 lakh construction workers. 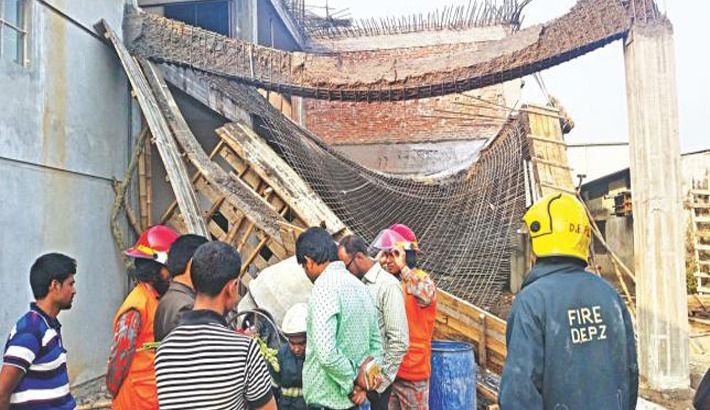 Many workers are being killed and injured due to lack of proper safety measures at construction sites. Many times, they are denied of proper compensation in case of any accident which is violation of human rights, they said. They came up with the remarks at a workshop titled ‘Corporate Social Responsibility (CSR), Social Justice and Workers’ Welfare and Professional Protection and Social Safety of Construction Workers’ organised by Bangladesh Institute of Labour Studies (BILS), a labour rights organization, at its Dhanmondi office in the capital, says a press release. They called for strengthening inspection system of construction works, refixing wages of the workers and taking steps against those found to be responsible for violating the safety rules of the workers. It is imperative to form safety committee comprising all concerned and conduct mobile court across the country for ensuring the rights of the neglected workers, they said, urging the mass media to play its due role for creating awareness as it will help establish the rights of the workers, who are playing an important role in the country’s development.